Slow Burn Yoga at Y7 Yoga is the perfect workout 2 days post half marathon. I went to Slow Burn Yoga yesterday for their 8:15pm class. Y7 has two classes: Vinyasa and Slow Burn. 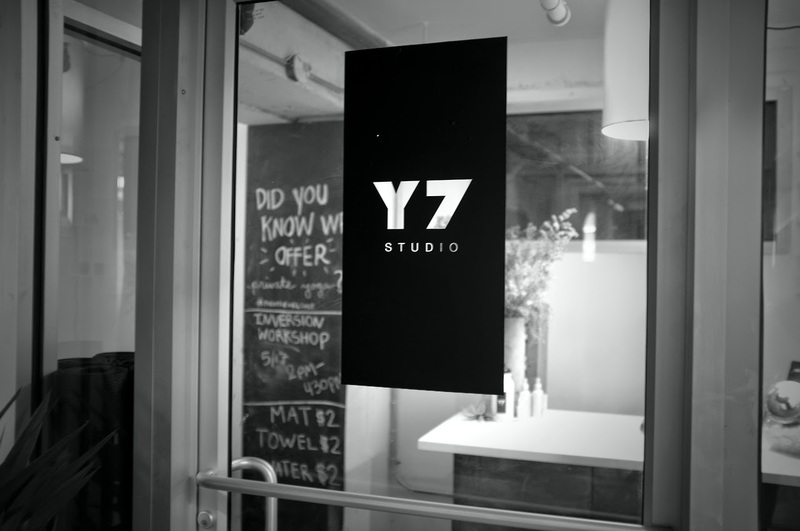 The difference between Y7 and other yoga studios is that these two classes are in the vinyasa practice but also in the dark and the heat. 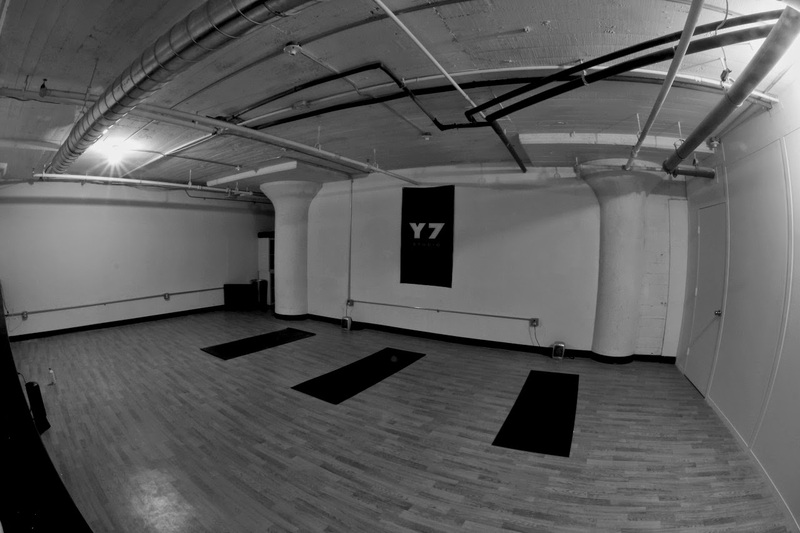 It’s not heated up to the point that Bikram is (100+ degrees) – Y7 is more like 85 degrees (I think?). That being said, this was the first hot yoga class I have taken in 3 years. I used to practice 3x a week when I was living in Boston but I seemed to fall off that. I was really nervous for the class and even though it’s a much slower class than the regular vinyasa class, I was still worried about the heat. SLOW BURN – 60 Minutes Different than Y7’s Vinyasa class, Slow Burn works toward not only reaching our edge, but surpassing it. This class is slower than a typical Y7 Vinyasa class, as the teacher guides you deeper and deeper into a carefully selected series of postures. We will focus on foundation and structure within our movement, while mindfully tackling some of the master asanas. With a deeper emphasis on both the necessity and support our breath allots us as practitioners, we will use pranayama to both inspire our movement and guide our mind. Although we aren’t flowing as fast, please come prepared to sweat, work, breathe and finally, to restore. This is a great class to take in the evenings when you’re ready to turn off and tune in. Beginners and advanced practitioners encouraged and welcomed. Please arrive 15 minutes before class. I got a little lost when trying to find the studio. It’s right on Kent and 1st in Williamsburg but once I was standing in front of 240 Kent, I couldn’t find the entrance. There are a few stores out front, just make sure to find the right door (I’m an idiot and didn’t see the sign right on the door but there so many stores). Once you buzz in, you’ll follow the signs to the basement. As soon as I walked into the studio, I just hit in the face with this heat. Eventually the shock wore off. I got into the room a few minutes before and laid down. Since the studio was expecting me, a mat, towel (yogi toes!) and water were set up for me in the room. There were 5 other people in class. Alex, the instructor, said typically they can fit up to 20 students or so. The room is heated. The only light in the room are the two candles flickering in front of class. We started the class laying down with a rolled up yoga mat underneath us and on top of the laid out yoga mat. It was much slower than a regular vinyasa class which combined with the heat was absolutely perfect. Sarah, at the front desk, mentioned it being two breathes (or more?) per pose. We also held positions by breathe (i.e. 10 breathes in plank). I definitely wasn’t ready to jump right into a sweatfest two days after running even though I did get nice and sweaty in this class. As for music, honestly I can’t even remember. It just felt so perfect for the class. It would loud but perfect for the flow. I was in a trance. That being said, it looks like you can find their playlists on their Tumblr. Overall the studio is quite small. The basement of the complex looks half occupied by other businesses and the other half empty. On a Monday night at 8pm, it was pretty deserted. 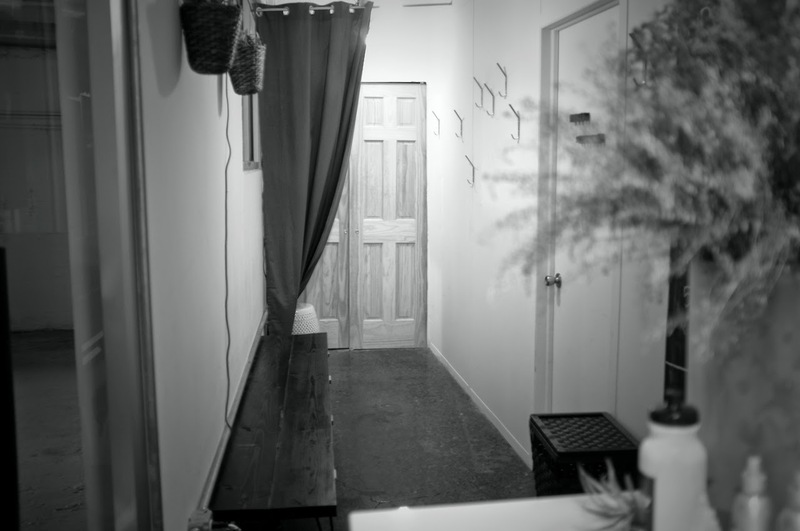 There are bathrooms to use and change in, at the end of the hallway once leaving the Y7 studio. Would I come back? Absolutely. I loved the intimate class setting, the dark and the heat (which was just right for me). Since it’s dark in the room, you spend a lot less time looking around wondering if you’re doing something right and just focusing on you. Their vinyasa class is next on my to-do list. Luckily you can find them on the Classpass too! NOTE: Y7 allowed me to visit for a free class, but I was in no way compensated to review it on my blog. These are honest opinions.